QuietGrowth works with capable companies to provide you a seamless service of high quality. 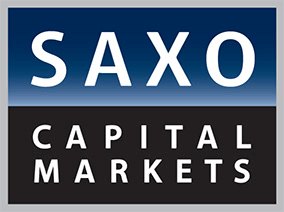 Saxo Capital Markets is one of the leading players in global online trading. Saxo was established in 1992. It is headquartered in Copenhagen, Denmark, with operations in many countries worldwide, including Australia. Working with Saxo enables us to provide you the execution and account clearing functions of the online trading of your portfolio, that is to buy, hold and sell your portfolio. HLK Group is a financial institution (Australian Financial Service Licence AFSL 435746) which provides licensing services to financial advisers and Managed Discretionary Account (MDA) Managers. QuietGrowth acts as an authorised representative of the AFSL of HLK Group. AFSLs are issued by the Australian Securities and Investment Commission (ASIC). HLK Group was established in 2012 and is based in Sydney. Working with HLK enables us to provide you the Managed Discretionary Account (MDA) service.